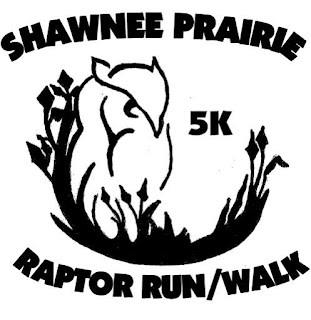 The Darke County Birders’ Club is raffling off two paid registrations for the Aug. 5th “Raptor Run/Walk” at Shawnee Prairie Preserve. This new 5K will benefit the raptor, or birds of prey, education program offered by the Darke County Park District. The registration price is $20 with a t-shirt or $12 without a t-shirt. The Birder’s raffle will take place on April 22nd at the “Take Flight” event at Shawnee Prairie. The Darke County Birders’ Club is entering its 20th year and prides itself on promoting wildlife conservation and encouraging community involvement as well as enjoying bird watching. The Birders’ raffle, Breakfast with the Birds booth at “Take Flight”, and the “Raptor Run/Walk” all benefit the raptor education program and new raptor enclosure at the Darke County Park District. For more information on the Darke County Birders Club, please attend a meeting on the fourth Tuesday of each month, or contact Steve Miller at (937) 547-3340.